Stitch Fix is a personal styling service for men and women, that sends clothes to your home. You get to choose the frequency in which the boxes arrive. You pay a $20.00 styling fee, which comes off anything that you decide to keep. Free shipping and exchanges. 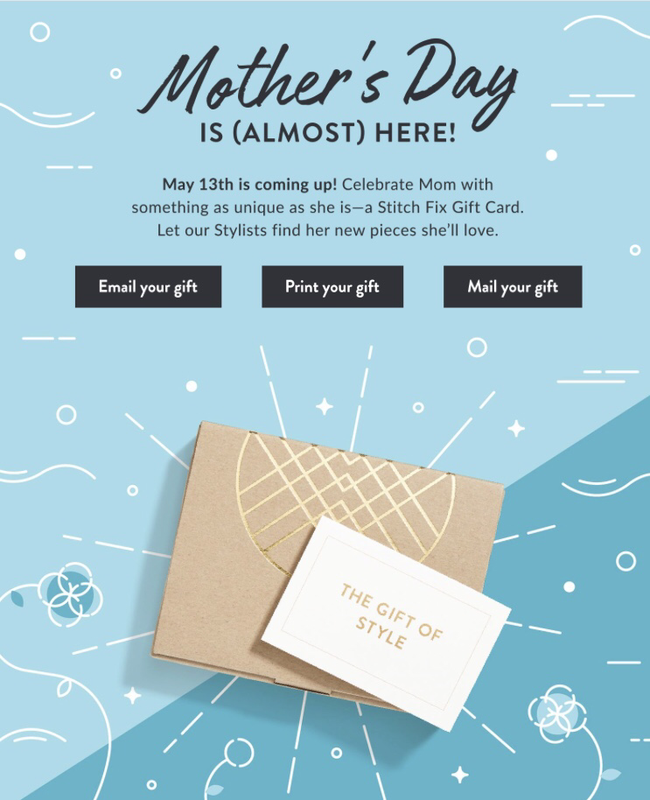 Email, Print, or Mail Mom or a mom to be a Stitch fix gift card. Who will you be getting a gift card for?